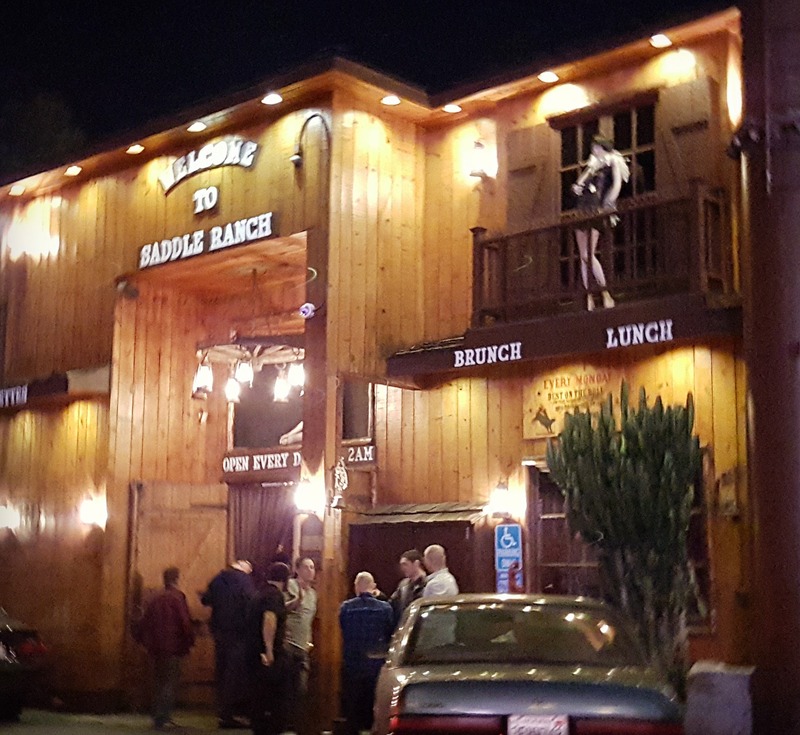 The Sunset Strip may be known as the home of rock ‘n’ roll debauchery, bands breaking into the big time, and fine dining between party stops, but one place that stands out among the pack – the country western stylings of the Saddle Ranch Chop House. Just its presence on the Strip promises you’ll be in for a unique experience, looking like a larger-than-life honky tonk with feather boa-draped saloon dollies out to greet you on the balcony. 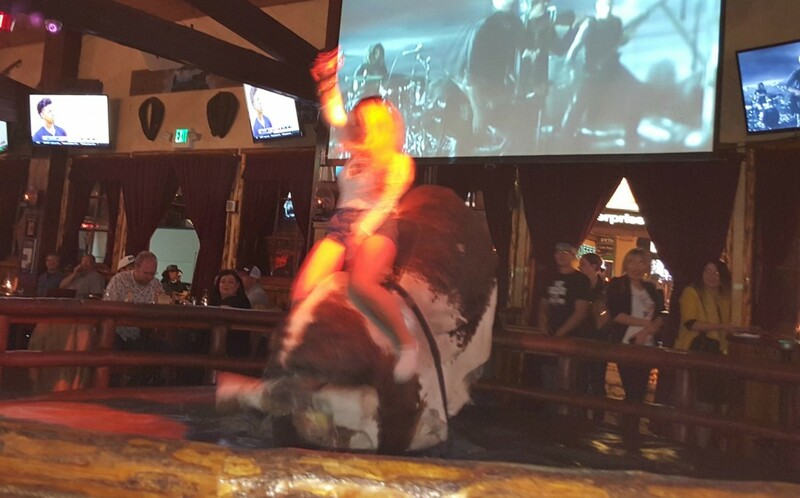 Step inside the action and you’ll be seated around a mechanical bull ring where brave patrons take a wild ride for all to see. 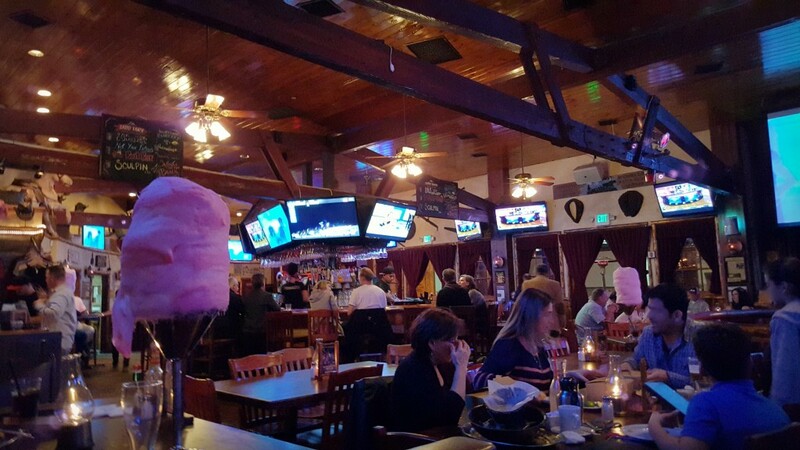 We took a seat in a booth and longingly eyed the bigger-than-your-head cotton candy desserts served at other tables. But cocktails were more my speed to quench my sweet tooth so I ordered up one of their signature drinks – a Spike Honey Lemonade with honey whiskey (Mmmm!) peach schnapps, raspberry liqueur and lemonade with a splash of soda. The wait staff seem to specialize in down-home hospitality as they came around to greet us, as well as other staff members offering up some memorabilia for sale. I was told the place makes a mean steak so I ordered up a slow roasted Tri-Tip and oh my, they weren’t lyin’! That was one juicy, tasty steak, cooked just right! We were quite entertained with all the wannabe cowboys testing their luck on the mechanical bull and with the entire scene in general. While this place may be a favorite for the tourist crowd, it’s also fun for locals to experience a little something different on the Los Angeles landscape. Yeeehaw! 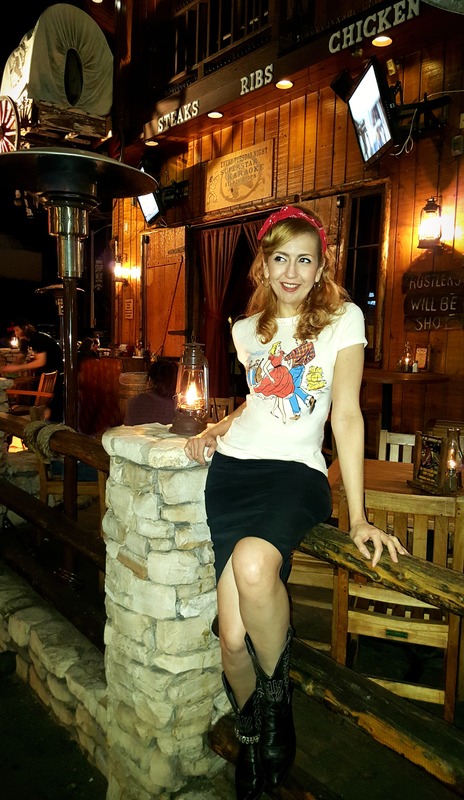 For a night at of country western stylin’ I wore my vintage-inspired square dancers T-shirt from Atomic Swag with a simple, black, pencil skirt. My trusty, old black cowboy boots adorned with a concho boot strap came out to play, and a red bandana head scarf completed the look. To go for retro country western style for the night, you can always grab one of the great T’s from Atomic Swag and pair it with some jeans. 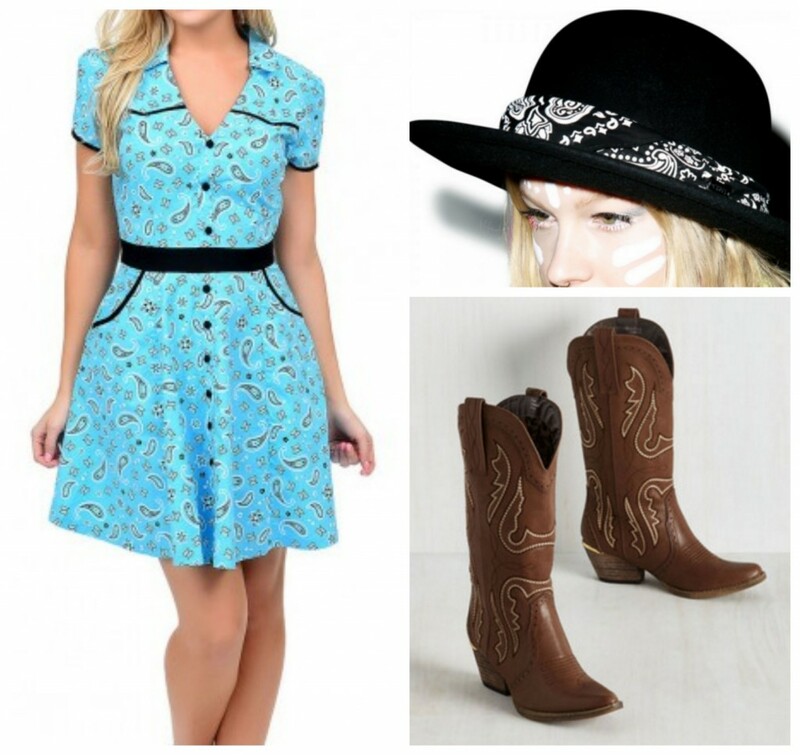 Or go more pinup with a cute bandana print dress, topped with a sweet hat with bandana hatband. Don’t forget your cowboys boots partner! 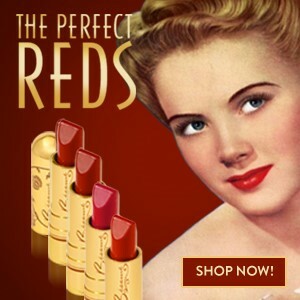 Click the links to shop* this look! So head out for a night on the Strip, a good steak, and ride ’em cowboy! Photos edited with PicMonkey*. Get it!